Myrtle Beach Police Department hosts a retirement party and celebration of service for K-9 Roscoe on Monday, October 22. The special event is set for 2:00 p.m. on Monday, October 22, at General Robert H. Reed Recreation Center, 800 Gabreski Lane. Roscoe was rescued from the Grand Strand Humane Society shelter as a puppy! He was sent to school to learn drug detection and tracking. 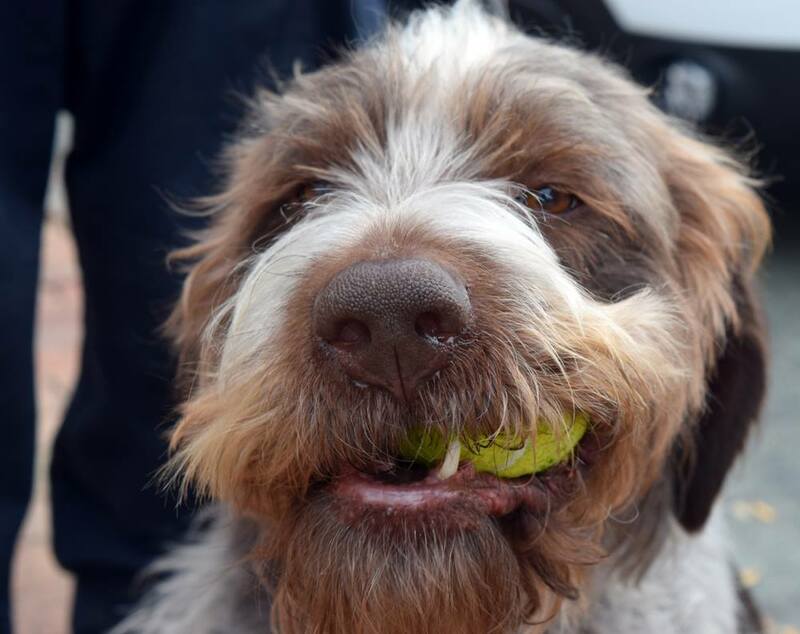 Roscoe-the-rescue looks to be a full-blooded German wirehaired pointer.